In a country obsessed with the male child, it is ironical that sons abuse elders most, according to a report on elder abuse by HelpAge India, The 23-city report by HelpAge India reveals that 25 per cent of the elderly population in the country is treated poorly — particularly worrying data as India increasingly turns silver. As per the 2011 Census, 8 per cent of India’s population was above 60 years. This is expected to increase to 12.5 per cent by 2026 and 20 per cent by 2050. An India ages, questions arise on how the country treats its elderly. 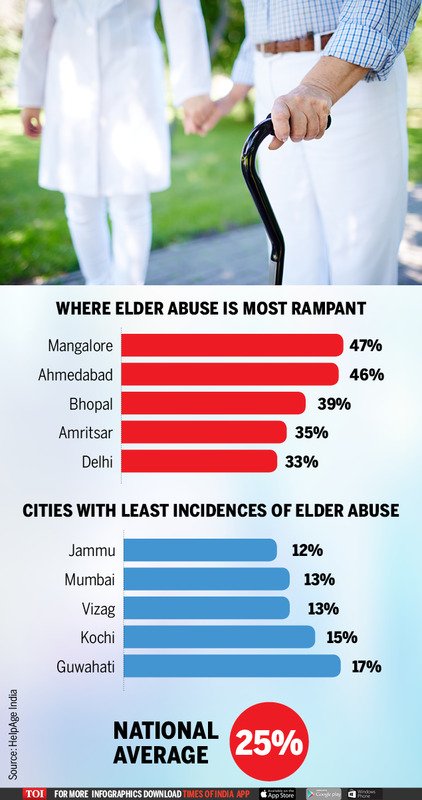 Here’s a breakdown of what constitutes elder abuse, who are the main perpetrators and in which cities.